EFCC has given an update on the bundle of cash it intercepted in Benue state earlier today, The money was allegedly meant for vote buying. 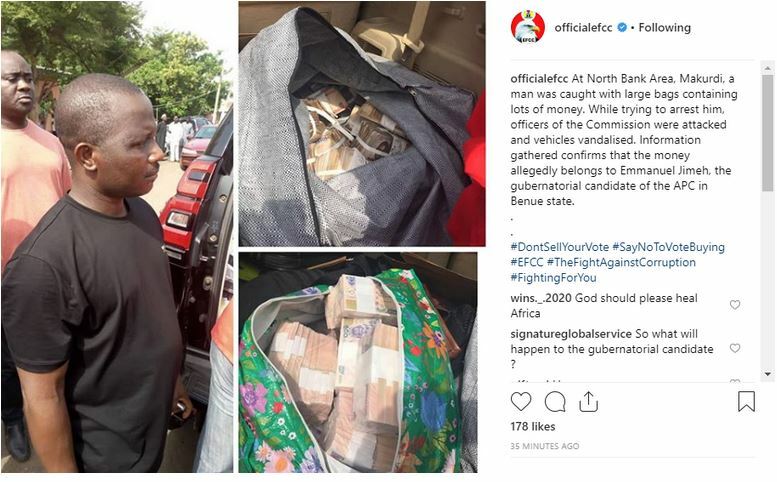 According to the agency, the money is allegedly owned by APC governorship candidate in the state, Emmanuel Jimeh. 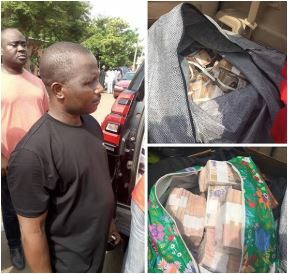 ”At North Bank Area, Makurdi, a man was caught with large bags containing lots of money. While trying to arrest him, officers of the Commission were attacked and vehicles vandalised. Information gathered confirms that the money allegedly belongs to Emmanuel Jimeh, the gubernatorial candidate of the APC in Benue state.